On 12 Frimaire Year XII of the French Republican calendar (4 December 1803), twenty-eight medical students and a young surgeon gathered in the small teaching hospital adjoining the Paris medical school and founded the Société anatomique de Paris. 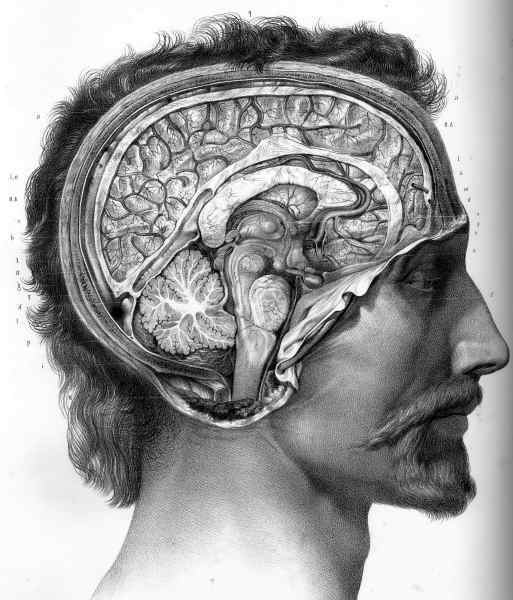 The professed goal of the Société was mutual education in anatomy and physiology, and more specifically pathological anatomy. The society members, among whom several of the most talented students, saw it as their duty to pursue the work started by Xavier Bichat through his private teaching and his publications until his death the previous year. The Société anatomique therefore dedicated most of its research to morbid anatomy, and the great majority of its meetings was spent observing diseases, carrying out post-mortems or examining pathological specimens, at a time where the Paris medical school did not provide any theoretical teaching in this discipline. After a year’s existence, the Société anatomique’s membership had risen to more than a hundred members, under the double guidance of Guillaume Dupuytren and René Laennec. Despite a short life (1803-1809), the first Société anatomique provides insights about the rise of morbid anatomy as a distinct medical discipline and about the hesitant beginnings of a new system of medical education in post-Revolutionary France. The fate of the Société reveals the struggles of the newly-established Paris École de Santé to organise instruction in accordance with its prescribed missions, and the efforts of students to assert their place at a time of professional and political turmoil. It also confirms how much mutual education and learned societies are dependent upon the personality and commitment of a handful of members. Although the Société anatomique comprised the elite of medical students and benefited from the collaboration of very talented professionals, it eventually succumbed to the rivalry between two of the most brilliant medical men of the time: Dupuytren and Laennec. After meeting regularly for four and a half years, the society disappeared in April 1809. In 1826, Jean Cruveilhier, recently appointed professor of anatomy, successfully revived the Société anatomique, which then developed and prospered under his presidency (1826-1873), mainly thanks to the quality of its debates and monthly publications. The Société anatomique has survived the significant evolution of medical knowledge and science sincethe late nineteenth century and is still active today.